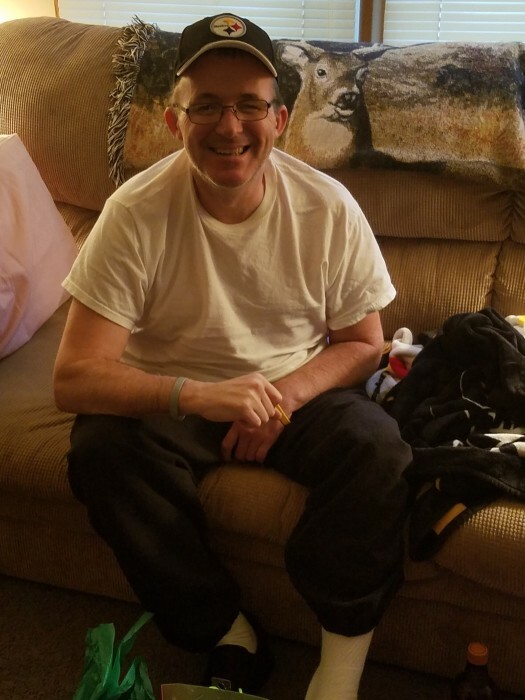 Obituary for Timothy R. Cramblit | Wellman Funeral Homes, Inc.
Timothy R. Cramblit, 48, of Laurelville, died September 9, 2018 at OSU Hospital. He was born on July 5, 1970 in Circleville, the son of Robert Cramblit and Jean (Thompson) Ricketts. He was a self-employed carpenter. He was preceded in death by his father, Robert and brother, Bill Cramblit. He is survived by his mother and step-father, Michael Ricketts; sons, Timothy and Nathan Cramblit and Dylan Wolfe; step-son, Ryan Disbennet; step-daughter, Tammy Stevens; 3 grandchildren; 6 step-grandchildren; sisters, Gina Bode and Miki Whitcraft; brother, Robert Cramblit, Jr. and special nieces, Tricia Daubenmire (Jeremy Hedges) and Karley Whitcraft. Funeral service will be held 1:00 p.m. Wednesday September 12, 2018 at the Wellman Funeral Home, Laurelville. Burial will be in Green Summit Cemetery. Friends may call from 11:00 a.m. until the time of service on Wednesday. Online condolences may be made to www.wellmanfuneralhomes.com.